I love maps almost as much as I love travelling. Road trips are typically played out in advance, picking out scenic or interesting routes in favour over simply going from A to B. When I’m back, I’ll usually download the track log from the GPS, adding it to the map as dotted line, a permanent record of I was here. 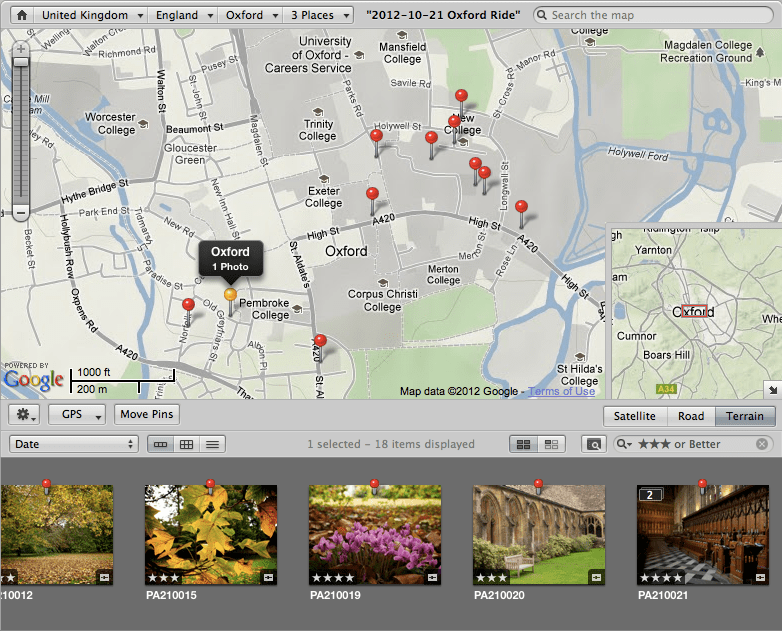 A long time ago I discovered I could also save the exact location a photo was taken, permanently, in the file itself. This was a leap forward for travel photography, but back then the process was quite lengthy and prone to error. You needed a GPS which could store and output a track log file, a camera, and some software. The log file from a trip would be loaded into the software, as would the pictures, and the program would work out the latitude and longitude coordinates for each picture based on the time it was taken. Sounds pretty simple, but the process relied upon your camera clock being synchronised exactly to that of the GPS, which often wasn’t the case because you’ve got better things to think about when heading off on a trip. At the end, hit the app’s stop button. The screen shows a QR code. Take a picture of the screen with the camera(s) you used on the trip. That’s it. 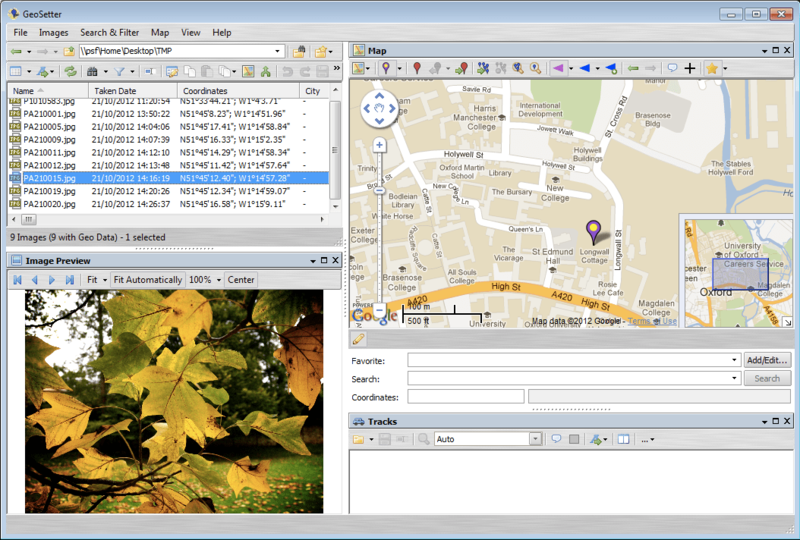 The PC / Mac version of GPS4Cam looks through the photos in the nominated folder until it finds a QR code, from which a GPX compatible track log is extracted. From this file it assigns locations to all your photos, outputting them to a new folder, and weeding out the QR code pictures, the GPX file, and any images not taken as part of the trip. It’s a geotagging revolution. Your camera clock doesn’t need to be synchronised to anything, everything just works. There are a couple of gotchas though; the iPhone app samples your location periodically rather than continuously in an effort to conserve power, and that may lead to some slight inaccuracies where the location is concerned. Several settings exist to let you choose the margin of error that suits your activity, from 5 minutes to 30 seconds to manual. I find the 1 minute setting to be adequate for most of my activities, like walking around a city or cruising on a boat. For cycling tours I tend to drop it down to 30 seconds, but that uses more battery and produces more QR codes at the end of the outing. If you’re shooting pictures from a fast moving vehicle you’ll probably be better off using a more advanced solution, like a dedicated GPS and more advanced software, but GPS4Cam is a good compromise between simplicity and functionality – go check it out.